Manola Di Pasquale, born in Teramo in 1965, Bachelor's degree in Law, with honors at the University “G. D'Annunzio” in Teramo, in 1989, has been practicing as a lawyer since 1994. She analyzes, all the procedural aspects concerning the civil, administrative and criminal discipline. She steadily will update her knowledge on theLaw of Contractsand Law of Torts, therefore she represented several trial culpability. Thanks to her proficiency in administrative law, she was council memberat the Banca of Italia in Teramo, and member of the IPAB Board in Teramo. As regards her role as Commissioner at Consorzio Agrario of Abruzzo, she also was liquidator solving all the disputes and the losing positions. 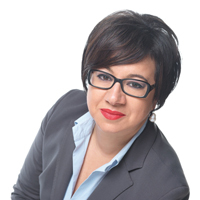 Thanks to her civic engagement, she earned the title of Cavaliere al Merito in 2007, so she also became a political representative as City Councilwoman. 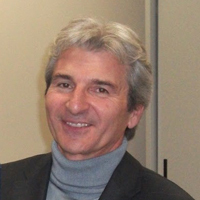 Giampaolo Colavita was born in Sant'Elia a Pianisi (CB) in 1958. 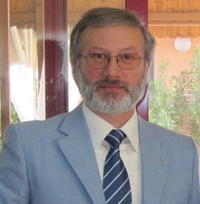 After getting his Bachelor’s degree in Veterinary Medicine, he introduced to his career in the laboratories of this Istituto, in 1984 regarding Animal Health and Food Safety. Later, he followed a university career. Always collaborating with the institutions in Teramo, at the University in Teramo at the Faculty of Veterinary Medicine and at the Specialization School in Food Inspection, he taught and studied applied microbiology, hygiene and animal health and inspection and control onfeed at the University in Molise. Moreover, he was Chairman of the degree courses in Environment and Workplace Prevention and Techniques and Science in Community Health and Prevention. He was author and co-author in several communications conferences, he also published more than one hundred publications in national and international journals and on three university textbooks on hygiene and food safety. Professor Giampaolo Colavita also includes, in his career, some humanistic interests, linked to his deep passion for traditions and popular culture regarding his native land.